It was 25 years ago today that a Finnish chap by the name of Linus Torvalds made an announcement about a new operating system that he developed in the preceding few months. Nothing big and professional, he assured us, just a hobby project basically… but here it was, and he already got a command shell and the GNU C compiler working. I have been using Linux for 23 of those 25 years. I became familiar with Linux when I took over sysop duties of the UNIX forum of the long defunct NVN (National Videotex Network). I no longer have the original SLS (SoftLanding Linux) floppy images, though I am pretty sure even without checking they can be found in several archives online. 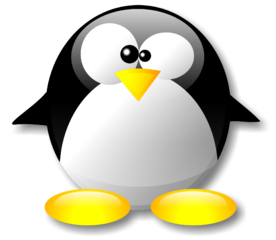 Welcome to the LINUX distribution on NVN! popular *FREE* UNIX operating system clone. using it as a dial-in system for my friends and business associates. DOS (lines end with CR/LF instead of LF only as they do under UNIX). support for LINUX, I will be glad to answer any of your questions. call, it will be with your LINUX system! Before making this announcement, I already set Linux up on an old 386SX desktop computer that I was no longer using. Within a few months, this computer began to play a permanent role as my Internet server. Although it went through several hardware and software iterations, its basic identity remains the same: it’s the very same server on which these words appear.